Our first flagship store is open for business! 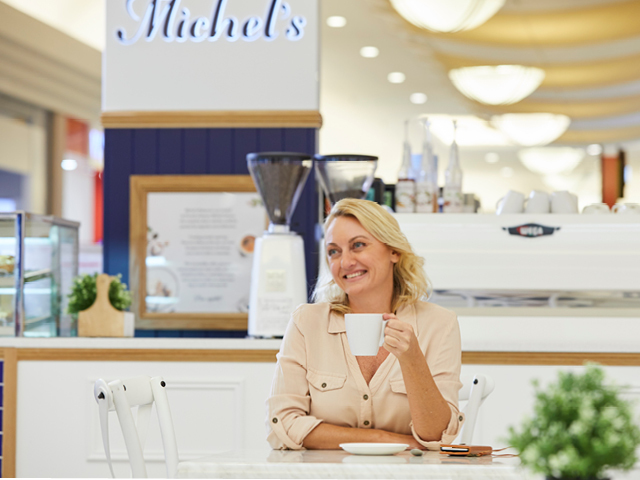 Located in a popular and recently refurbished centre on the Gold Coast, the new look store offers the ultimate Michel’s experience. 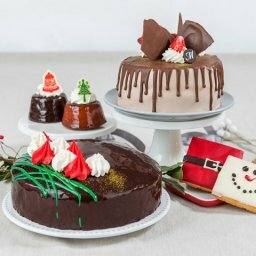 Michel’s The Pines has been transformed to present a more authentic French café experience for our customers with an improved store ambience, French-inspired menu items and new look packaging. When you set foot inside the store, you immediately get the unique feeling of French luxe and high styling that will whisk you away to Paris! There is an abundance of nice little details nestled in the store design, with a navy and washed white colour scheme that echoes the French heritage Michel’s embodies as a brand. It is the perfect destination to catch-up with a loved one for a coffee, sweet, savoury or light meal, or to take a break after you have finished shopping. You can visit our flagship store at The Pines Shopping Centre, 13/31 Guineas Creek Rd, Elanora QLD 4221. Hi Corinne, thanks for your message. We are sorry to hear you are missing the red from our colour scheme. To celebrate 30 years of service, we decided it was time for a little makeover. We hope to serve you for another 30 years!